If you’re sick of constantly having to clean your fish tank, purchasing an algae eating species might be a good choice for you. These creatures spend most of their time moving around the tank, consuming algae for sustenance as they tidy up the space. Nerite snails are one of the most popular species for freshwater aquariums. 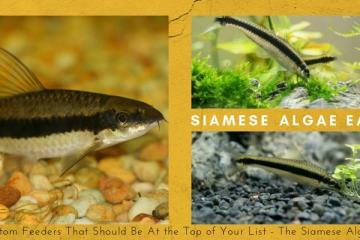 Easy to breed and quick to reproduce, these creatures won’t get in your other fish species’ way, and they are peaceful, low-maintenance creatures. They’re also easy to care for and inexpensive, usually costing just a few dollars per snail. 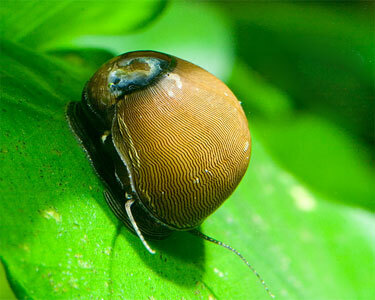 With just a little bit of experience and practice, you can raise nerite snails in just about any freshwater aquarium. Is A Nerite Snail Right For You? Nerite snails are from the family Neritidae, which contains well over 200 species. Many of these are native to brackish waters on the seashore, but some also live in rivers and streams. As a result, you can often get away with raising nerite snails in freshwater tanks as well as in saltwater tanks (though these are less common). Nerite snails can be divided into several categories. Those that are usually raised for freshwater tanks originated in Eastern Africa, so they are accustomed to a blend of seawater and river water. Pure saltwater species tend to be from the Pacific or Caribbean coast. That being said, most nerite snails have adapted and been selectively bred to live in freshwater habitats. Therefore, they can live for several years in captivity under most circumstances. They tend to be found in the wild in the southern hemisphere, although there are some exceptions. These unique creatures look just like other snails you may have encountered. They have hard, coiled shells atop muscular bodies or “foots”. The foot of a snail moves side to side, propelling the snail forward as it moves about in your tank. Nerite snails also have sensitive tentacles, which they use to help detect food and obstacles. There are differences in appearance between varieties of nerite snails, but most have relatively similar shapes and structures. 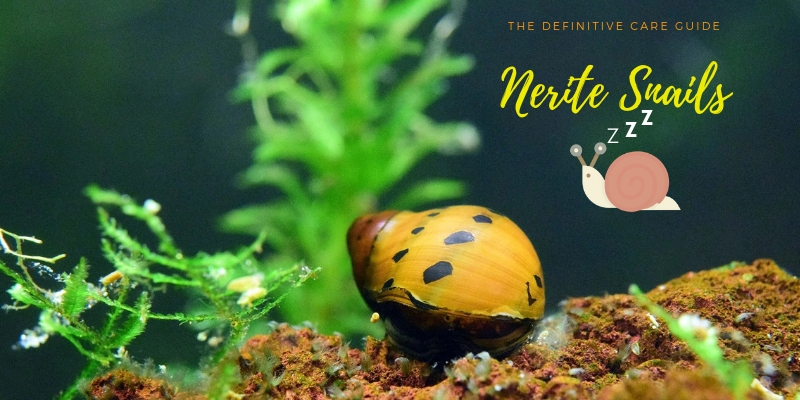 You won’t notice too many pronounced differences between the different types of nerite snails, except in their colors, patterns, and other markings. Nerite snails are very calm, non-aggressive species. They are not terribly active, but will help keep your tank quite clean as long as it is not overstocked with fish. You should avoid keeping nerite snails in close proximity to fish that re predatory in nature, as they might decide to snack on your snails. Nerite snails are not themselves predatory, and will not bother your other fish or aquarium inhabitants. Occasionally, these lethargic creatures will tip over. They can usually flip themselves back over, but if they don’t you can always give them a helping hand. Nerite snails are unique in that you may happen to notice them sleeping. 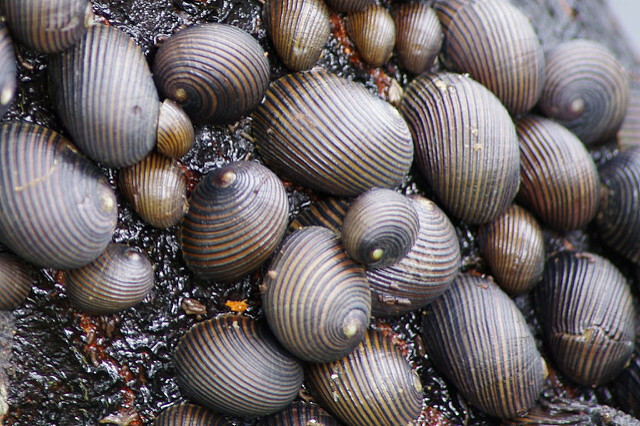 While all creatures need sleep, nerite snails are one-of-a-kind in their sleeping habits. These snails sleep for two to three day cycles rather than the twenty-four hour cycle to which we are accustomed. They will have seven bursts of sleep over a thirteen or fourteen hour window, and then be up and moving around for about thirty hours following that rest period. Within the nerite snail family, there are multiple different species. The zebra nerite snail is one of the most prolific, housing black and yellow stripes that move across their shells. These usually point towards the center of the snails’ coils. Tiger nerite snails, despite being in possession of stripes like those of the zebra nerite snail, will have coloration that is a vibrant orange. Their stripes are more jagged and harsh than those of the zebra nerite snail. Olive nerite snails are one of the most common aquarium nerite snail species. These usually do not have patterns, but instead have olive-colored coils with black lines. 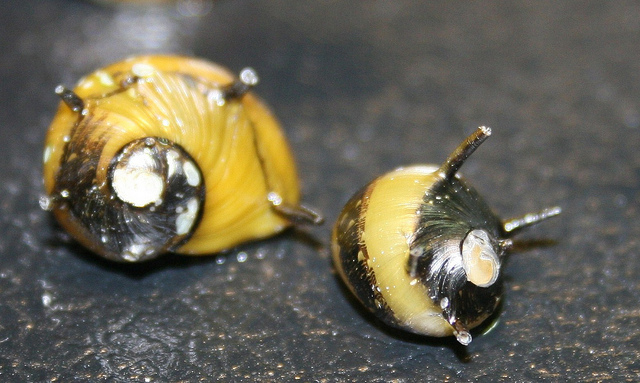 Horned nerite snails have thick, black and yellow stripes. These stripes are unique and can be differentiated from those of other nerite snails species in that one stripe on each snail will have markings that look like sets of horns. There are so many different types of nerite snails, and all have unique appearances. They come in colors including, gold, reddish brown, black, dark green, olive, and gray. Some have stripes, while others may have oddly shaped track marks, and still more have no spots, stripes, or markings at all. In the wild, nerite snails are typically found in coastal habitats. They are native to places like estuaries and mangroves, as well as other waters that have plenty of rocks and surfaces that harbor algae and other growths. In the freshwater realm, nerites nails can be found in smaller populations in places like mountain and forests streams. 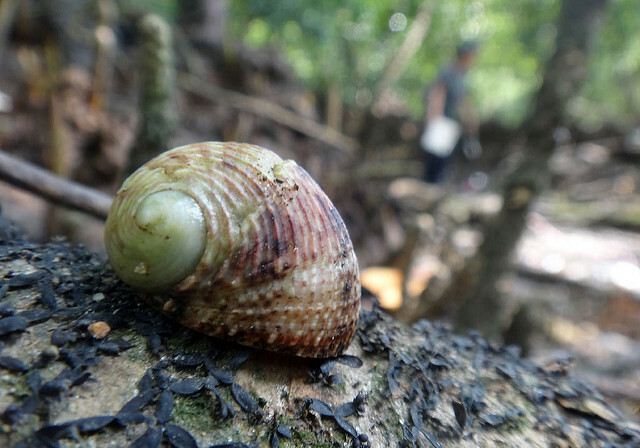 Although they are more common in brackish environments, nerite snails have been found in all kinds of waters. f you are able to reproduce these conditions in your own fish tank, your nerite snails will be happy as can be. Hiding spots are essential for nerite snails. You can use live rocks to make these, which allow snails to take advantage of the algae that will no doubt begin to grow on them. Because nerite snails have such sensitive, delicate tentacles, you need to be careful about the type of substrate you decide to use. A fine-grained substrate is the best option, particularly one that is sandy. This will reduce the likelihood of your snails scratching or injuring themselves. Many aquarium hobbyists use calcium substrate, as this provides the snails with an adequate source of calcium that they need to support their shells. You can keep the water parameters for both saltwater and freshwater snails. Ideally, there should be as alinity of about 1.020 to 1.028 sg, with temperatures between 72 and 78 degrees Fahrenheit. The ideal pH for nerite snails is between 8.1 and 8.4. If your waters fall slightly outside of these parameters, don’t worry – they will likely adapt just fine as long as conditions are kept relatively stable. You may want to keep a lid on your tank if you decide to keep nerite snails. These curious creatures like to climb, and they are also very good at it. At night, it is not uncommon for nerites to creep above the surface of the water. This is because, in the wild, nerite snails do not stay submerged in the water at all times. While it’s a good idea to lower your water level by about an inch so that they can escape every now and then, a lid is essential so they don’t leave the aquarium entirely. Nerite snails, like most aquarium inhabitants, are extremely sensitive to water quality. Make sure the water is free from ammonia and nitrates – nitrates should be less than 20 milligrams per liter. You don’t need to do much to ensure your water parameters are perfect – simply invest in a high-quality filter and heater. You should als conduct regular water changes to make sure everything stays fresh and healthy. Because nerite snails are relatively small, you can keep them in tanks as small as five gallons. However, if you plan on keeping more than one snail, make sure you compensate with a larger aquarium. If you are raising more snails (or raising a s nail with multiple fish) you might want to invest in a larger aquarium. Decorating a nerite snail tank is essential. It provides your snails with plenty of places to hide, and also a place upon which algae can grow. Rocks and driftwood are great options, as they providing hiding spots and a source of algae. Plants are not vital, but they can help produce algae and also make your tank more attractive. Snails generally will not disturb live plants in an aquarium. As a result, you can use any kind of plant – even slow-growing options. Many people use java ferns to help decorate nerite snail tanks, as they provide lovely ornamentation without disrupting the cycles of other fish. Nerite snails are slow eaters, but can make quick work of getting rid of algae in your tank. They will scavenge vegetation with their radula, a structure used to scrape and digest food, along with their sensitive sensory tentacles. Although nerite snails feed primarily on algae, you may also need to add other foods. Algae is usually a sufficient food source for your snails. However, if you are one of the lucky few aquarium hobbyists with a tank that is relatively free from algae – or if you have a tank that is occupied by multiple snails – you may need to supplement your snails’ diets. Algae wafers are good options, as they will sit on the bottom of the tank and stay there until your snails come across them. You can also add green vegetables such as spinach and lettuce. These can be fed fresh or frozen. However, you should only add foods when there is not enough algae in the tank. 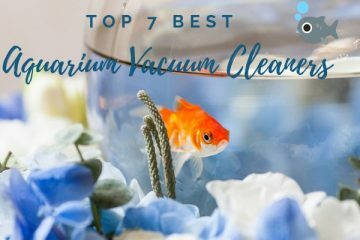 If you find yourself looking at algae on the glass- or worse, find yourself actually needing to clean algae out of the tank from time to time – you don’t need to worry about feeding your snails. IN particular, you need to be mindful of overfeeding your snails. Overfeeding and underfeeding are both detrimental to a snail’s health. Nerite snails aren’t picky, so while it’s tough to underfeed them, overfeeding is a danger you need to watch out for. Nerite snails tend to eat clustered in groups, and can find food just about anywhere. Nerite snails prefer specific types of algae like soft film algae and soft green algae. They will also eat soft brown algae and brown diatoms. In fact, nerite snails reportedly will eat just about any type of algae, but they tend to shy away from green spot algae in most cases. Don’t assume that just because you have nerite snails in your aquarium, you will never have algae problems again. Algal growth is related to water conditions and lighting, so if a tank has consistent algae problems, a nerite snail will not solve the problem on its own. They will feed prolifically on the algae that grows on the glass, decorations, rocks, and filters, but they might not be able to keep up with the algae if it is growing intensely in your tank. Nerite snails get along well with most other tank mates. They can be kept with most kinds of fish because the snails are so calm and easygoing. 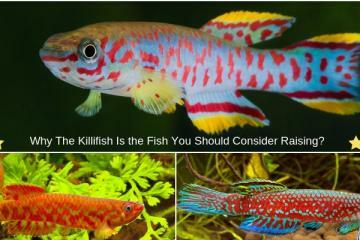 Avoid aggressive fish, like cichlids, aquarium crayfish, and goldfish, and put them instead with non-combative species like barbs, guppies, and tetras. You can also keep nerite snails with shrimp, like ghost shrimp, or other snail species. You can house multiple nerite snails together without issue. They will not fight and should not compete too much for food or space. No more than two snails for every ten gallons of water will be perfect. Although the ratio doesn’t matter much in terms of fighting – the snails will rarely fight – keeping too many nerite snails in one tank may make it hard for them to find enough algae to eat. Other good tank mates for nerite snails include other snails like trumpet snails, mystery snails, ivory snails, gold Inca snails, and Ramshorn snails. 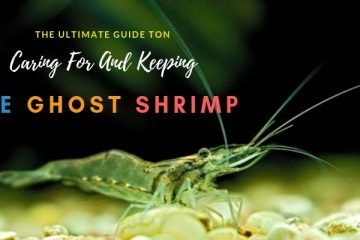 They also coexist well with bamboo shrimp, vampire shrimp, red cherry shrimp, and amano shrimp, and can also eat algae happily alongside cory and otocinclus catfish. Nerite snails have some health concerns to which other aquarium inhabitants are not susceptible. For example, you need to pay particular attention to the shell of your nerite snail. Often, the shells of nerite snails can become stunted in their growth. This isn’t usually a problem if your snail is in a healthy environment, as the chief culprits in poor shell development are underfeeding and low temperatures. Overeating can cause just as many problems for a snail’s shell as underfeeding. Overfeeding a snail causes discoloration, as the extra energy from the food is instantly diverted to shell growth, causing it to grow at an alarming rate. In the wild, nerite snails have darker shells because they don’t have the luxury of being overfed. Nerite snails may need to be given some kind of calcium supplements, too. Cracked or weakened shells can be extremely detrimental for the health of your snails. If you notice this condition, make sure you add a calcium substrate to the tank or consider adding calcium sulfate. White spots on nerite snails indicate another danger – parasites. 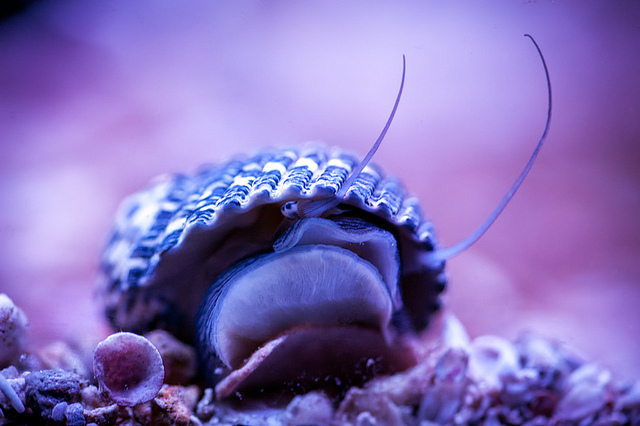 Parasites are common for all fresh and saltwater inhabitants, but it can be more difficult to tell if your snails are suffering from parasites, particularly internal parasites. That being said, both kinds of parasites can be fatal, so monitor your snails carefully for any changes in appetite, appearance, or behavior. Some old snails might acquire a disease caused edema. Not unlike edema in humans and other mammals, edema causes the body of the snail to swell as it fills up with fluid. This will make your snail sluggish and have difficulty moving around your tank. You also need to be careful about how much cooper your nerite snails are exposed to. Copper is fatal to most invertebrates, and certain feeds, medicines, and supplements contain copper. Avoid giving your fish these items if you have an aquarium that contains nerite snails. Avoid overstocking your tank with nerite snails. 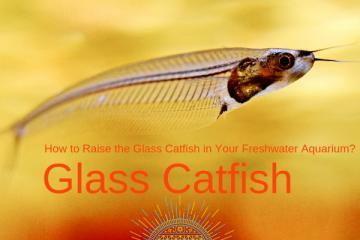 These creatures produce waste just like all of the other inhabitants of your tank. Overstocking increases the bioload in the tank and tax the aquatic environment. Even though nerite snails certainly hold their own in keeping the tank clean, they will produce more waste than they are able to compensate for. Keeping adequate numbers of snails – no more than a few per every ten or twenty gallons – is a good way to avoid this problem and related health issues. Many people falsely believe that nerite snails won’t breed in freshwater tanks. Luckily, this is not true. Although nerite snail larvae have a hard time surviving in freshwater, they can breed and lay eggs. If you’re interested in breeding your nerite snails, you may have to let them reproduce in freshwater and move the eggs to saltwater or you can start the process with snails that live in saltwater aquariums. Nerite snails are unique in that, unlike other types of snails, they do not breed asexually. Female produces eggs for males to fertilize, just like fish do. Eggs are spread throughout the tank and develop into larvae over the course of a few weeks. These eggs are typically found in the substrate and in plants, and they will lay multiple eggs at the same time. 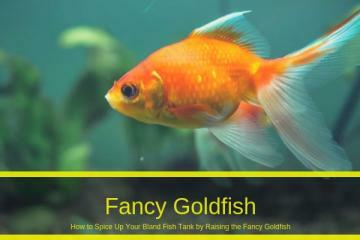 They will look somewhat like small white spots, and can impact the overall appearance of your tank. If you plan on breeding nerite snails, you may want to consider moving them to a breeding tank so that you don’t sully the appearance of your tank or have to worry about other aquarium inhabitants eating the eggs. Interestingly, nerite snails will not breed quite as prolifically if they sense that the snail population in the tank is already high. Once you reach approximately fifteen or sixteen snails in a forty gallon tank, the breeding will slow dramatically as the snails recognize that their numbers are stable and stop breeding. Young nerite snails are very tiny, so small that it’s not uncommon for them to be sucked into the filter inlet. If you plan on breeding your nerite snails, installing a sponge filter can be an effective way to prevent this from ever occurring. A brackish water setup is ideal for breeding snails, so if this is your goal, consider raising your snails in this environment from the start. It will most closely mimic their natural environment and provide the most success in the reproduction process. If you decide to breed your snails after rearing them in a totally freshwater or totally saltwater environment, just make sure you acclimate them before moving them. The easiest way to do this is to remove the snails with some of their old tank water and then slowly add new water from the new environment over the course of a few hours. If you plan on breeding your nerite snails, try to include as many snails as possible. You should shoot for an even ratio of males to females. A group of five is usually sufficient to start a breeding population, as they will have confidence in their numbers as well as more genetic diversity. These creatures have a relatively short lifespan, living only up to a year or so in captivity. They will grow two or three centimeters in that time period. If – or rather when – your nerite snail dies, make sure you remove it from the tank immediately. A decomposing snail can cause a rapid spike in ammonia quantities in the water, which can impact the health of your other fish. If you are unsure whether your nerite snail has passed, you can figure it out by examining its behavior. A dead snail will not be affixed to the glass or any other hard surface, but will instead typically be lying on the bottom of the tank, often upside down and motionless. It may also smell. Nerite snails are a great option for aquarium hobbyists seeking an easy-to-raise algae eating species. 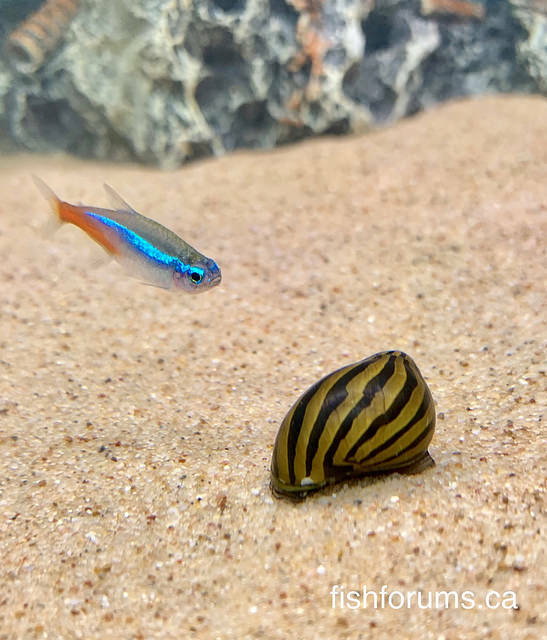 These snails can be kept with all kinds of freshwater fish – just as long as you don’t house them with more aggressive fish species who will think they are receiving a free escargot snack! If you’re interested in a fun new endeavor, consider raising nerites. They take such little effort to raise, and, with a unique appearance and quirky tank-cleaning behaviors, provide plenty of rewards in return.